For most people, the holiday season is filled with shopping, eating great home-cooked meals, planning vacations, and sipping on the latest holiday drinks while catching up with friends and family. However, for hotels, life is a bit different during the holiday season. Between finalizing budgets, setting end of year meetings, and completing your normal day’s work, hoteliers are trying to think of creative ways to fill the property during the holiday season. Search Engine Land posted Google’s 2013 traveler report, which shows that over 50% of travelers spent more time researching before booking, because finding value is important to them (http://searchengineland.com/content-seo-holiday-data-travel-hospitality-serps-206962/). And ClickZ reported 51% of travelers are booking at least 30 days in advance of travel (http://www.clickz.com/clickz/column/2370614/words-that-work-for-the-holiday-travel-season). This means, between research time and booking in advance, NOW is the time to promote! 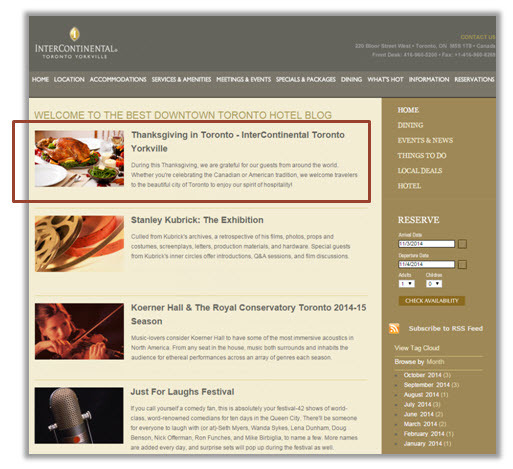 Creating content on the hotel website focused on the holiday and the offer. Think about holiday events, holiday specials, and popular holiday activities that can be demand generators for the business. Implementing off-page strategies. 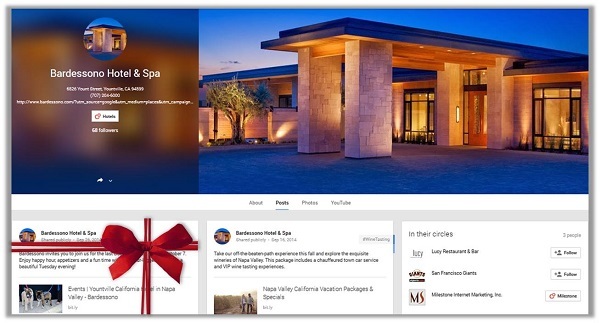 Any on-property specials should also be communicated on the hotel’s digital marketing entities. No matter how small or large, there are always things to do in the local market during the holidays. That is why it’s always a great idea to create a page on the hotel’s website dedicated to holiday happenings. Not only will this help improve the site’s SEO relevancy for holiday related phrases, but it will also serve to provide useful information to the end user, the hotel guests! In terms of content, talk about places to go, where to eat, places to shop, and more! Not only does fresh and holiday-relevant content help the website gain, it is a page that is able to be used year after year simply by updating the date-sensitive content.Also, when build the page, structure it so that each of the insider tips and suggestions can be shared to social channels. This will increase the likelihood to gain social shares, visibility, and increase your websites overall social signals! Everyone loves a fantastic holiday special, which is why it’s highly recommended to create a holiday specific package and special offer page on the website. Remember, it doesn’t need to be something new! An existing bed & breakfast package that is usually offered year-round can be repurposed with a holiday twist. Simply add peppermint cocoa with the served breakfast and refresh the package name to something festive for the holidays. 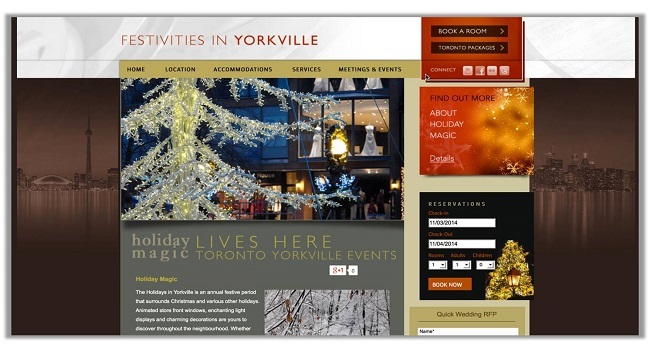 The holiday event information page is a great way to get visitors to the hotel’s site, while this holiday package page should entice those users to convert and become actual guests. Tell them about it… promote that holiday special. Update the special offer listed on TripAdvisor with the holiday-specific offer: It’s a compelling way to promote an offer and typically converts well. Create a Google+ post around the offer. 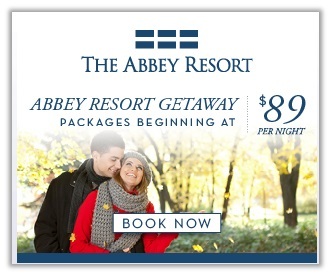 Talk about the holiday special and provide a link back to the holiday package page on the hotel’s website. This will help drive additional traffic back to the website and to the holiday offer page. Additionally, if the business does not have a blog, Google+ is a great alternative to a blog platform as it functions similarly. Feel free to post all about the destination, holiday events, hotel happenings, and local entertainment as well! An additional benefit to posting on Google+ is the added SEO value that the post will drive as these will also show up in Google’s search engine results. 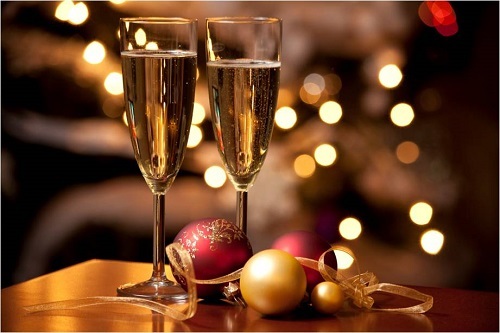 Share the holiday special on the hotel’s social media channels for its audience to follow, re-tweet, like, and share. Finally, if you have an email marketing campaign, be sure to blast it out as well. Don’t forget to Blog all about the holidays! A blog is a great way to thank customers for supporting the business throughout the year and can help boost the property’s social media strategies for the holiday season. Remember to keep the content about the customers and their holiday experience. Keep in mind that blogs and most social channels are indexed the fastest by search engines, so if there’s any last minute schedule updates to local or hotel events, be sure to leverage the blog or the hotel’s Google+ profile to get the word out to the public! 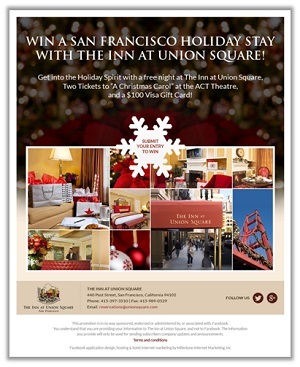 A hotel Facebook giveaway/sweepstakes is a great way to get in the spirit of giving. This will allow the hotel to appeal to holiday shoppers with a fun incentive, while boosting fans/followers and generate more traffic to the hotel website. A Facebook giveaway is also a great way to quickly build on the hotel’s email list, which is a great tool during the holidays. When creating a sweepstakes, be sure to select the appropriate incentive to provide, which is the key to gaining contest participants. The prize should connect to the customers and relate to the business’s offered services or products and should also be easy for the team to execute. Gift cards are also great incentives, because whether the cards are redeemable online or in-store, shoppers at this time of year find them very useful.Gift certificates to popular shows in the area of the hotel also seem to be an attractive incentive, since the winner can have complete exposure to the local area if they travel from somewhere out of town or utilize it as a “staycation” getaway. Reach out to your local businesses to find additional unique ways to partner for great giveaway ideas! The key is to find a way to drive healthy engagement with your fans before and throughout the holiday season as they make their travel plans. Be sure to update the hotel’s hyperlocal channels with tips for the local market this holiday season. Hotels can update their Yelp, TripAdvisor, and Foursquare profiles (among others) with tips and recommendations on what to do, where to eat, and what is fun during the holidays in the local area! 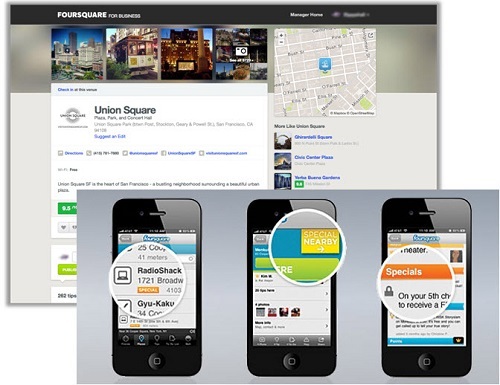 Since searchers’ intent is usually local in nature, by updating the business’s hyperlocal channels with recommended business tips, the hotel is acting as a great source of information and will find that people will be more inclined to click on the hotel’s listing over a competitor’s if they see it giving useful information. Also, promote a check-in offer for one of the outlets (dining or spa for example) that cater to the holidays on Foursquare and Facebook. This will give incentive for users to check into the business and share that with their friends and social circles. Much like the giveaway idea previously mentioned, make sure the team on property is aware of the offer or holiday special so that they are ready to help guests redeem the offers when presented.On Pinterest, hotels can create a holiday-themed board, adding images of events and things to do in the area that are popular with locals and tourists. Ask guests to contribute to the holiday board as well after it is made public. People love to share photos and when they help provide user-generated content on the hotel’s profile, this will help add to its online authenticity and will help drive more people to share and spread the hotel’s holiday content and messaging. With people traveling this time of year and being surrounded by the ongoing presence of holiday messaging from every angle, leveraging timely pay-per-click campaigns is a great way to help capture the attention and capitalize on holiday traffic. If the hotel has an offer to share (it can be unique or really just any offer! ), its paid ads should help show this off. If a hotel PPC plan is already in place, hotels should update its ad campaign or ad copy to target holiday travelers and outline the special offer. In addition, if budget persists, try buying holiday terms as another option for your ads, and target people who are looking to spend the holidays being a tourist or looking for a beach getaway to fix their winter blues. Whatever the travel plans, holiday terms can help target traffic accordingly. Be sure to carefully label the holiday campaigns and set the right end dates as well, so that they don’t run past their prime.Another option is to create holiday-specific banners for remarketing and display campaigns. Dress them up for the holidays and make the message consistent with the look and feel of all other marketing messages. Finally, be sure to bring offline holiday fun online. It’s clear that the hotel staff have spent hours (even days) putting up holiday decorations at the property, as they gear up for the festivities. Why not encourage guests to showcase the hotel’s wonderful decorations and the staff’s hard work by helping them share it easily! We already know that people love to share their travel adventures and memories through selfie, so take advantage and have guests help spread the holiday message for the hotel. In Summary, make sure to leverage the holiday season by planning and cross-promoting holiday marketing efforts across all channels. Creating and maintaining a blog is a very important step in creating SEO value, a step we do not suggest skipping. Creating fresh content regularly that engages your audience and increases your website traffic should be top of mind when creating and maintaining a blog. Regarding time and knowledge, there are many platforms available to use for your blog and many agencies willing to help you if you do not have the time to create your own. Home Hospitality Marketing: Leading Women in Local [Education Session]	Google Drops Carousel – How Does It Affect Your Hotel Marketing Strategy?